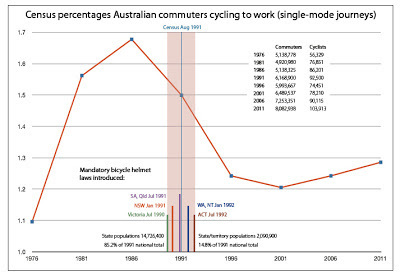 Cycling levels in Australia. As we all know, helmet promotion followed by helmet laws were a bad thing. Chris has gathered a fantastic detailed list of travel surveys in Australia over at his www.cycle-helmets.com website. 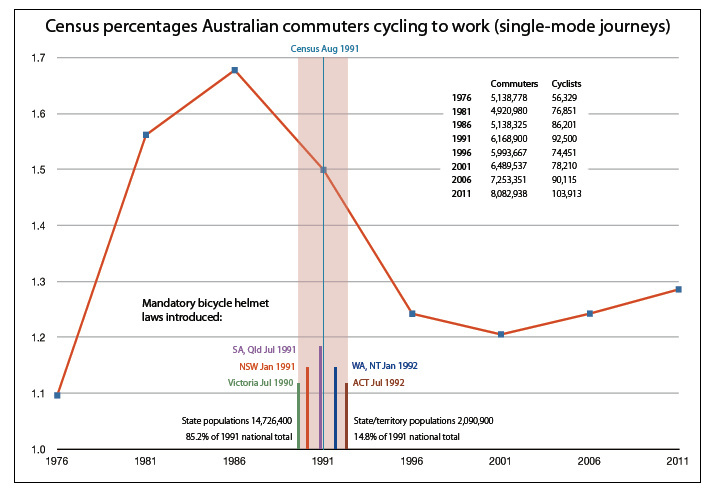 As though we needed more proof of the negative effect of helmet promotion and legislation, but hey. It's a great list.